Tom Petty has returned to the US charts following his death on October 2. 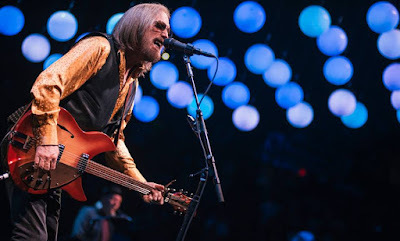 According to Billboard, Petty has placed five albums on the Billboard 200, including a No. 2 re-entry for his 1993 “Greatest Hits” album with The Heartbreakers. The project sold 84,000 units – a 2,231 percent increase from the week prior – including 52,000 in traditional album sales. “Greatest Hits” initially peaked at No. 5 in February of 1994, following its release the previous year. Petty’s 1994 solo effort, “Wildflowers”, returns to the Billboard 200 at No. 27; the band’s 2000 collection, “Anthology: Through The Years” sits at No. 32; the group’s 1980 breakthrough “Damn The Torpedoes” re-enters at No. 122; and, the rocker’s 1989 solo debut, “Full Moon Fever”, lands at No. 127. The Gainesville, FL singer passed away on October 2 at the age of 66 in a Santa Monica, CA hospital after being unfound unconscious at his Malibu home. Petty and The Heartbreakers were inducted into the Rock And Roll Hall Of Fame in 2002, with the singer’s combined solo and group sales topping 80 million albums worldwide.